Following nine hours of strike action by employees, especially the bus drivers of the National Transit Authority (NTA), the management of the entity has surrendered to massive pressure. This Monrovia Times on Monday, November 19, 2018 witnessed the strike action instituted by bus drivers for salary increment and other benefits which according to them had been denied them by management. Earlier, the drivers blocked the main entrance of the entity prohibiting the movement of NTA’s buses and visitors from entering the fence demanding management to address their plights for salary increment and other benefits. According to one of the drivers who preferred not be named for fear of reprisal from management said, the drivers instituted the action for series of reasons including the constant delay of their salaries, lacked of medical benefits, low traveling per diem including low salaries just to name a few. He told The Monrovia Times that when the new management was ushered in early this year, it brought in more than 100 persons to occupy spaces that were not vacant. The drivers also maintained that the management owed them two and a half months and after negotiating, management only agreed to pay for two months leaving out the half month because according to management the amount for the half month was accrued by the old management and they will not pay. For the traveling per diem, the employees said whenever one is going out of town to sleep, management only gives L$500.00 which they said is not enough for one who is traveling to an unknown destination. The workers also complained that the union which was voted to help them seek the welfare of the workers is not functioning because it has been trampled on by management which also refused to recognize the unions. “The management has brought in new junior managers while the old ones are still working and getting salaries and therefore one position can be occupied by two employees, this has increased the payroll and result to the delay of salaries and other benefits,” he contended. The bus drivers told this paper that while they who are bus drivers are working hard to make money for the entity, they and ordinary workers such as grass cutters, janitors and other unskilled workers are earning the same amount. 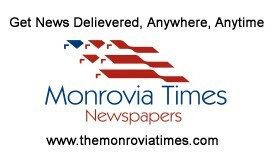 When The Monrovia Times contacted the management, Myers Beteh, Deputy Manager for Administration told this paper that following the strike action, the management has negotiated with the employees to begin work and promised that by December 1, 2018, it will begin disbursing the employees’ salaries and all other issues will be addressed.